Use comfortable tools to determine U-values, PSI-values, surface temperatures and other useful information. 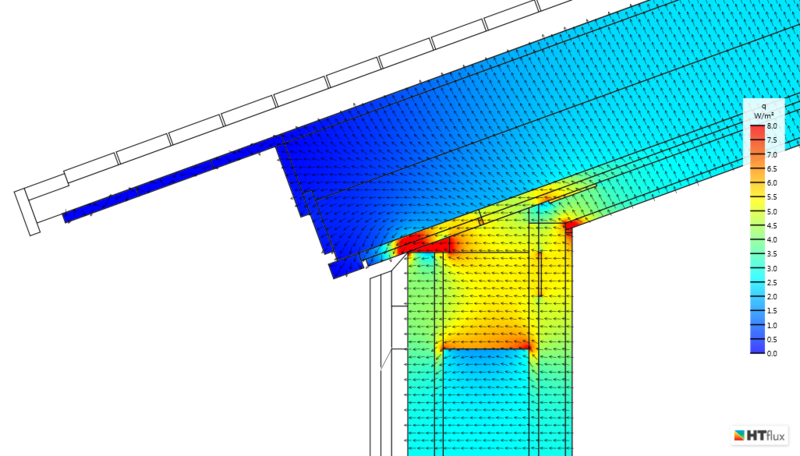 Easily identify and optimize thermal bridging effects. 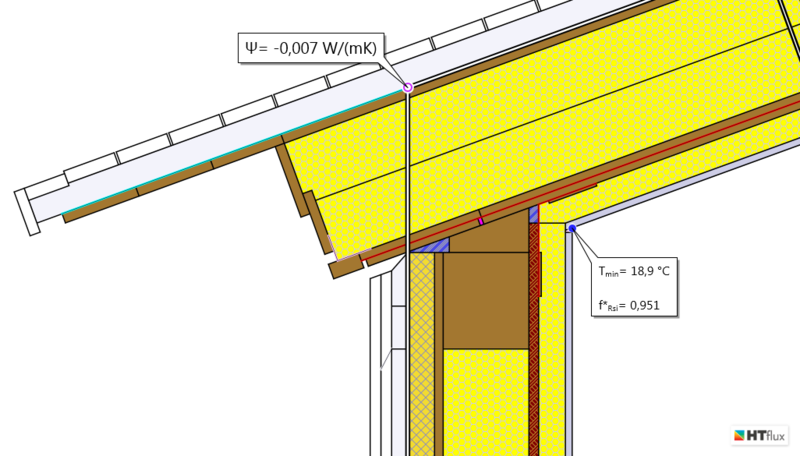 Use GLASER 2D to assess and avoid the risk of condensation. 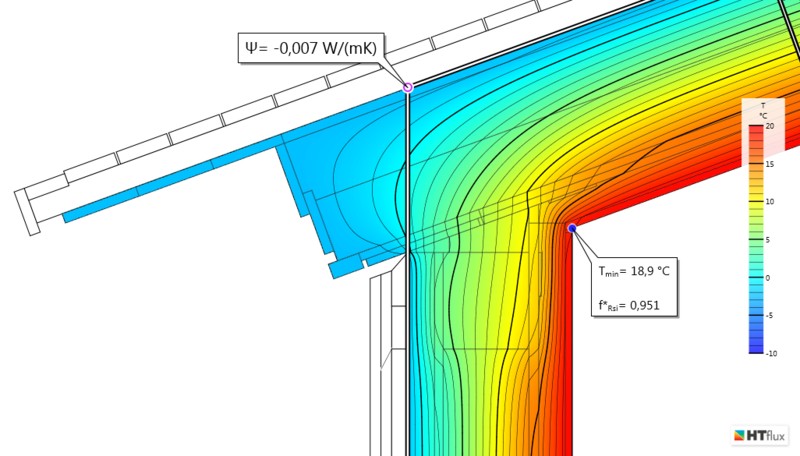 Analyze and optimize your detail regarding water vapor diffusion fluxes. HTflux is an innovative software to for two-dimensional simulation of heat and water vapor transport. GLASER 2d, a unique method developed by HTflux applies the well known and proven Glaser method on two-dimensional geometries. This enables you to calculate dew point zones including condensation and evaporation amounts for two dimensional configurations. 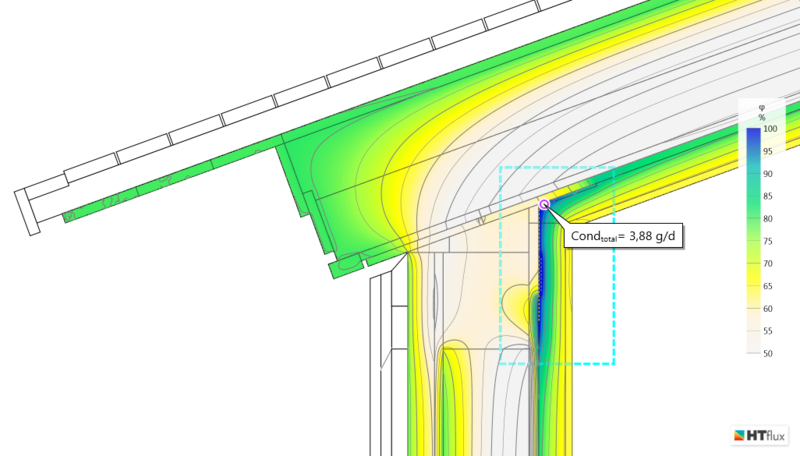 In addition HTflux tries to make your life as easy as possible: an easy-to-use interface, smart import of CAD geometries and the method of DIRECT MAPPING enable you to create accurate simulations in the shortest possible time. Try it yourself! Test HTflux 30 days for free! If you want to know more? 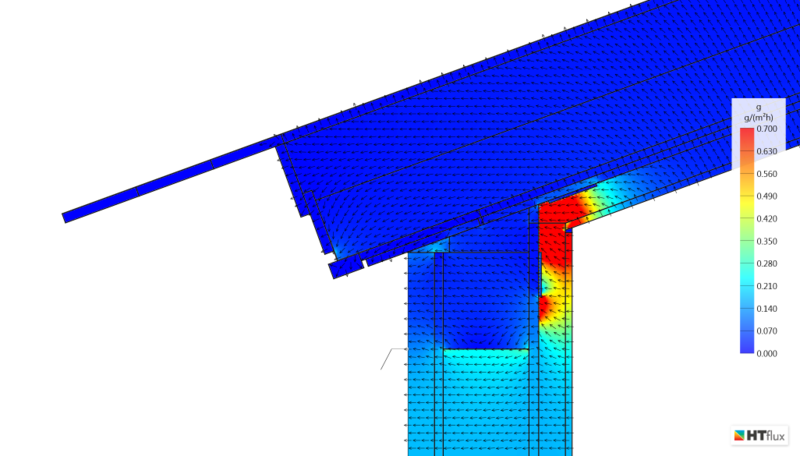 HTflux is the first tool being able to apply the well-known and proven Glaser method on complex two-dimensional geometries. The specially developed GLASER 2D algorithm allows examination of condensation with building constructions. HTflux is validated in accordance with the relevant standards EN ISO 10077-2:2007 and EN ISO 10211-2:2012. HTflux allows you to concentrate on your core competence. You don’t have to be a finite elements expert to use the software. Fast and comfortable CAD-import functionality in combination with the DIRECT-MAPPING approach accelerates the simulation process considerable. Time consuming rework of the geometry is no longer necessary. Easy operation combined with the high performance of our matrix solver enable you to carry optimizations of the geometry in real-time, leading to more energy-efficient and smarter solutions. HTflux synchronizes itself with an extensive and ever-increasing online database, which can be extended with your custom materials.